Notice for Hempfield Township Residents who have an Irwin (15642) zip code. Notice for Hempfield Township Residents who have an Irwin (15642) zip code. 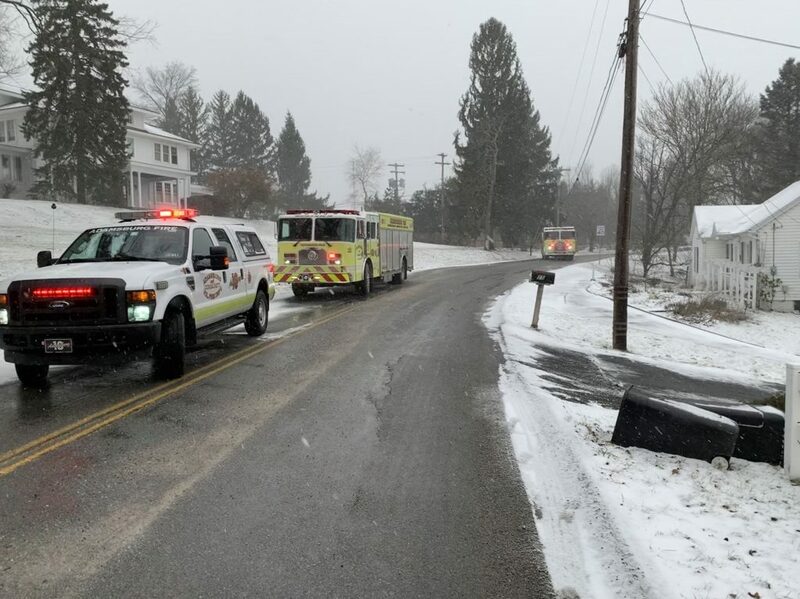 Once again, it has come to our attention that you may have received a subscription request from one of the ambulance services that neighbor the western part of Hempfield Township. Due to the way the postal service handles mail routes, these were sent to residents of Hempfield Township. Our neighbors, Rescue 14 E.M.S. are the Ambulance providers for residents of the western section of Hempfield Township, including a section of Hempfield which has a 15642 and a 15644 zip code. Rescue 14 apologizes for the confusion, however we have been unsuccesful trying to fix the issue. Rescue 14’s subscription drive will be arriving shortly. These subscriptions should only go to residents who reside in Rescue 14’s primary response area. Rescue 14 asks that you discard errant flyer and look for Rescue 14’s flyer for your yearly subscription. These should be hitting mailboxes soon. During the first few weeks of spring, there is a period of time where vegetation is very dry. This causes a greater risk for vegetation fires such as brush or grass. Recently the ACVFD has responded to a few incidents where this type of fire has occurred. The most recent happened on March 21st along a busy stretch of Edna Rd. Chief 10 arrived to find 3 separate small brush fires that were growing quickly. Engine 10 arrived and deployed 2 lines and water cans to quickly stop the fire spread. The Quint staged as a secondary source of water. 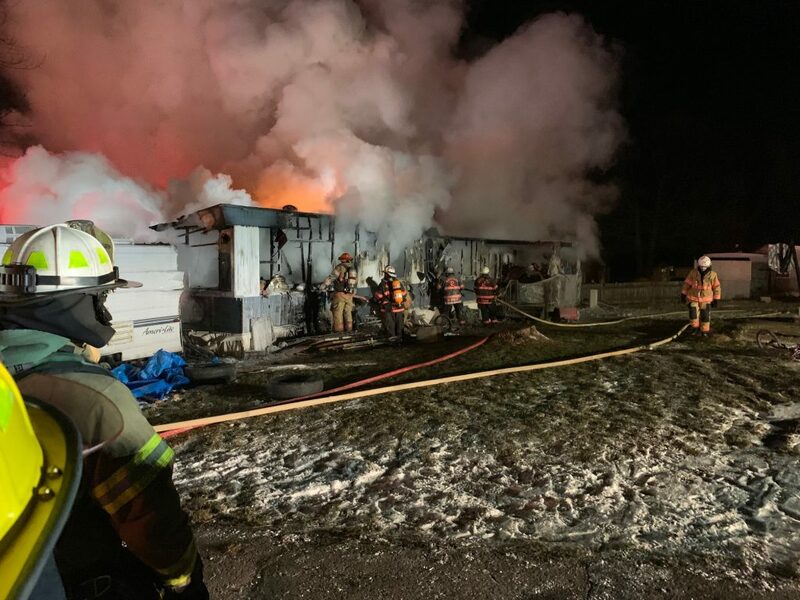 The prior incident happened on March 15th, the Quint responded on an outside fire reported to be endangering a house in Strawpump VFD’s fire district. The Quint was given the task to pull a line and wet down some smoldering areas of vegetation and a retaining wall. 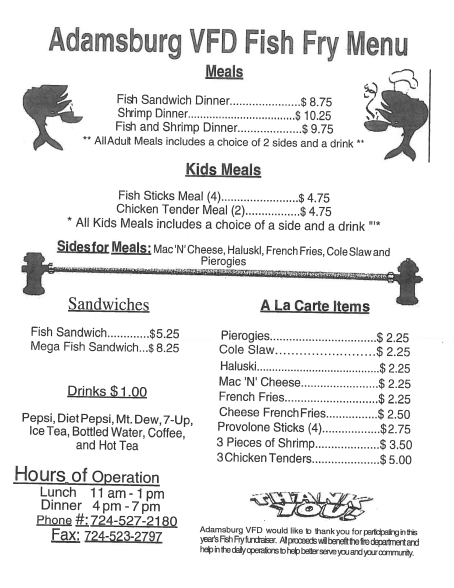 Our Annual Fish Fry will be held during lent Ash Wednesday and every Friday for the duration. ACVFD recently had to operate without our Rescue truck for 2 1/2 weeks. The truck was involved in a traffic collision while parked at a crash, when a vehicle slid on ice into it. While Webbs Service center was working on repairing our truck, our firefighters moved some equipment around to maintain what we feel was an acceptable level of service while the truck was out. This involved gathering a few pieces of equipment from the rescue and temporarily moving them to our Engine, Quint, and Utility truck. Our engine, not designed for vehicle rescue capability, had little room on it. Firefighters approached our local Hurst dealer to see if we could borrow any kind of battery powered rescue tool. These tools allowed for a better use of space on our engine as they do not require a truck mounted generator and hose to operate. The Rescue Store let us borrow a used set of Hurst EDraulics tools. We would like to thank Bill Finley Jr. and The Rescue Store for stepping up to help us maintain that level of service. Winter weather has given the ACVFD a busy morning. The morning started out with a crash on Arona Rd, ACVFD Responded with the Rescue, Service, and staffed Ambulance 322 to handle the second patient. Firefighters controlled traffic, assisted with patient care, and controlled hazards. 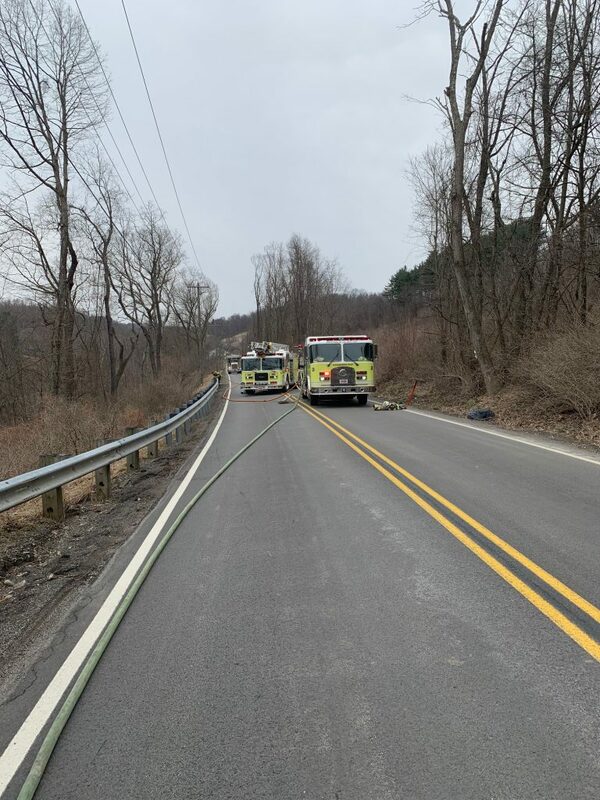 While operating at this crash, Chief 10 was notified by WCDPS that a second crash had occurred on Brush Creek Road in our first due. Units responded from the first crash to this one along with the Engine responding from the station. This crash a little more serious, involved a passenger car and a garbage truck. Firefighters were tasked with Hazard Control, traffic control, patient care, and enhancing patient access. Firefighters used the Hurst EDraulic tools to remove a door and assisted EMS with patient packaging and care. 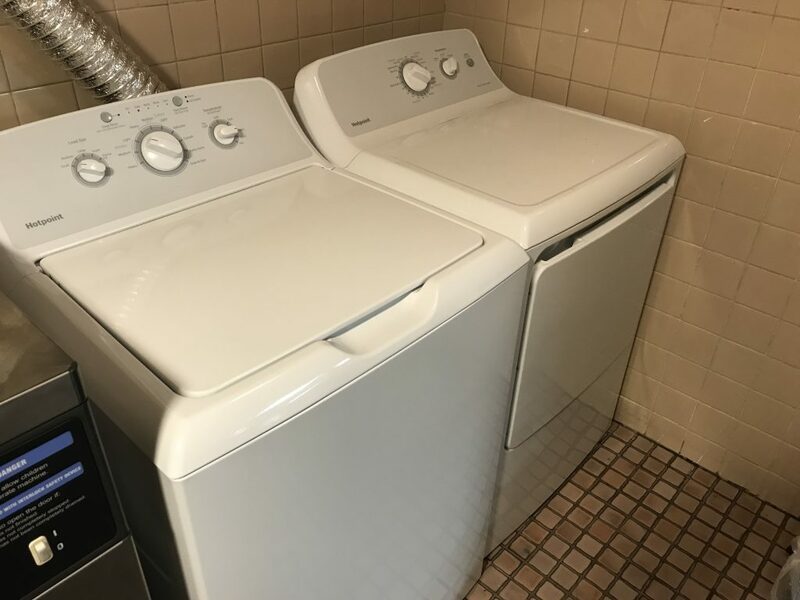 Shortly before the end of 2018 we wrote a post asking for some help in acquiring a washer and dryer to help with cleaning our hoods and other necessary items around the firehouse. As we learn more and more about what we do as a fire department, one of the issues we face is a very high risk for cancer, part of this is from things left on our clothing and fire gear after a fire. Having a good washer and dryer around will help us clean some of the items after a fire quicker and will lessen our exposure to these cancer causing materials and particles. We were fortunate enough to get some help, we would like to thank the Penn Rod & Gun Club and Kennametal, they have come forward and helped us purchase a new washer and dryer, we would like to say thank you for their donations, we appreciate it. The volunteers at ACVFD have been busy over the last 7 days. Responding to 17 incidents. 11 of which were in our first due. The mix of incidents included everything from a flooded basement to a reported fire and working mobile home fire. Attached are a few pictures of the incidents.